Edible Cinema is a film experience where you eat specially created food while you watch. Previous screenings have included Spirited Away and Beetlejuice (for Halloween). Now they're bringing us Some Like it Hot for Valentine's week... These sell out amazingly quickly; tickets go on sale on Thursday 31st January, and if you want to go put a reminder in your diary! "On Sunday 17th February Edible Cinema, in partnership with Bombay Sapphire, will be showing two screenings of Some Like It Hot at the Aubin Cinema in Shoreditch. Hailed as one of the funniest films of all time, Some Like It Hot is the ultimate ‘Rom Com’, an iconic film peppered with classic one-liners and featuring Marilyn Monroe in one of her finest roles. Valentine’s Edible Cinema is perfect for those who want to treat their loved one to an alternative romantic date or to enjoy with a group of friends. Following Secret Cinema, scratch and sniff cinema and film scores re-imagined by DJs and musicians, Edible Cinema takes the experience into a new realm. It is a collaboration between Soho House, renowned event organiser Polly Betton, experimental food designers Blanch and Shock and Bombay Sapphire mixologist Sam Carter. Two multi-sensory screenings of Some Like it Hot, Billy Wilder’s screwball comedy, will be enhanced by Edible Cinema’s integrated tasting experience. 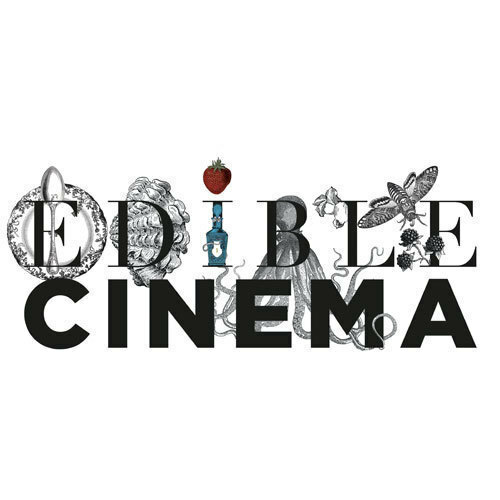 Edible Cinema is a unique way to experience a film: through aroma, texture and taste. On arrival, guests will be served a Bombay Sapphire Colonial Cocktail, a variation on the ‘Colony Cocktail’ invented during the Prohibition era of the 1920s when the film is set. The combination of grapefruit juice and dry cherry liqueur combine to create a delightful rose taste. Each guest is then supplied with a tray of numbered mystery boxes containing a bite-sized tasting menu tailored to specific moments in the film. A number corresponding to a parcel is displayed just before the crucial moment, signaling guests to get stuck in and enjoy the edible treat. Billy Wilder’s legendary romantic comedy sees jazz musicians Jack Lemmon and Tony Curtis escape the Chicago mob by disguising themselves as women and joining an all-female band who are on their way to perform in Miami. Marilyn Monroe plays ‘Sugar’, a troubled singer who gets caught up in the two musicians’ lives, and hilarity ensues. Guests can eat their way through the film's classic backdrops, from icy Chicago to the sunny Miami seaside - as the flavours, smells and textures underscore the action on screen. Highlights include a ‘fuzzy lollipop’ when Sugar confides in Geraldine that when it comes to men she always gets ‘the fuzzy end of the lollipop’ and ‘Champagne kisses’ consisting of smoky, booze-soaked truffles to be opened when Sugar showers Geraldine with champagne-soaked kisses aboard a borrowed yacht. The ‘Bombay Sapphire Spray of the Sea by the Seminole Ritz Hotel’ accompanies the ladies’ arrival at the seaside hotel and the ‘Mini Hot Bourbon Bottle’ combines Bombay Sapphire with cinnamon, crème de Cacao and a dash of vanilla recreating a bourbon flavor, which is secretly swilled from a hot water bottle on the train journey."